The Global Master’s Programme is conducted by a partnership of three universities from three different continents. The participating universities are: the University of Tsukuba (Japan), Utrecht University (the Netherlands) and the University of Johannesburg (South Africa). The University of Tsukuba was established as a “university with a new vision” in 1973, but ordinary established as the Normal Higher School in 1872. The University of Tsukuba functions as an open university. It gives students the opportunity to develop their interdisciplinary and global thinking, individuality and skills through an education that is backed by cutting-edge research. The university has ten faculties and has about 17,000 students. The Global Master’s Programme is part of the master’s programme International Development and Peace through Sport (IDS). with Eindhoven University of Technology (the Netherlands) as part of their Vitality Academy. Utrecht University is an international research university of the highest quality and the alma mater of many leading names, academics and scientists who have made an important contribution to the quality of society. This university is one of the largest general research universities in Europe with almost 30,000 students, over 6,000 staff. There are seven faculties and each faculty consists of a number of departments. Each department coordinates the research and teaching programmes of a specific field of science. Utrecht University offers one sports related master’s programme called Sport Policy and Sport Management. This programme focuses on the social role of organisations engaged in organising, managing and controlling sports and exercise activities, directing, innovating and implementing sports policy, or researching and advising sport organisations. The master’s programme has a dual nature: in addition to the studies, students work in sports or in a sports-related organisation. The introduction of experiences in professional practice is an essential part of the curriculum. More information about the master’s programme Sport Policy and Sport Management (in Dutch only). 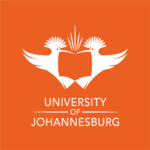 The University of Johannesburg is the first and only African university admitted to the highly respected consortium of 28 research-intensive universities in the world. This university has nine faculties and more than 49,500 students; 2,300 international students; 6,700 postgraduates and renowned academic staff. The programmes at the university are designed to prepare students for the world of work and for global citizenship.